Congratulations on your engagement and upcoming wedding! Thank you for your interest in our quality entertainment services. We are confident that we can help make your wedding day the most enjoyable and rewarding experience of your life. Please call our office to arrange a no obligation event consultation. 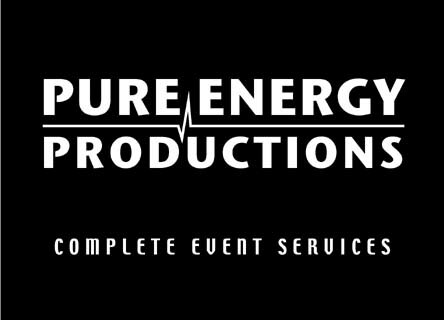 Pure Energy Productions has been providing quality wedding entertainment since 1989. We are a proud member of the American Disc Jockey Association. We were honored by DJ Times International Magazine as "Mobile of the Month" in April, 1999. Only 12 companies in the world receive this distinction each year. We also offer Live Bands, Decorative Lighting, Photo Booths and A/V Rentals!